Five percent of mobile phones in Kenya have been deactivated this month, but what might it mean for water users and water providers who are connected by cellular technology and economic infrastructure? Since 2010, Kenyans have been able to pay water utility bills via texting on their mobile phones. In the last two weeks, however, the phones of 1.5 million citizens were shut off, leading to concerns over delayed or unpaid water bills. 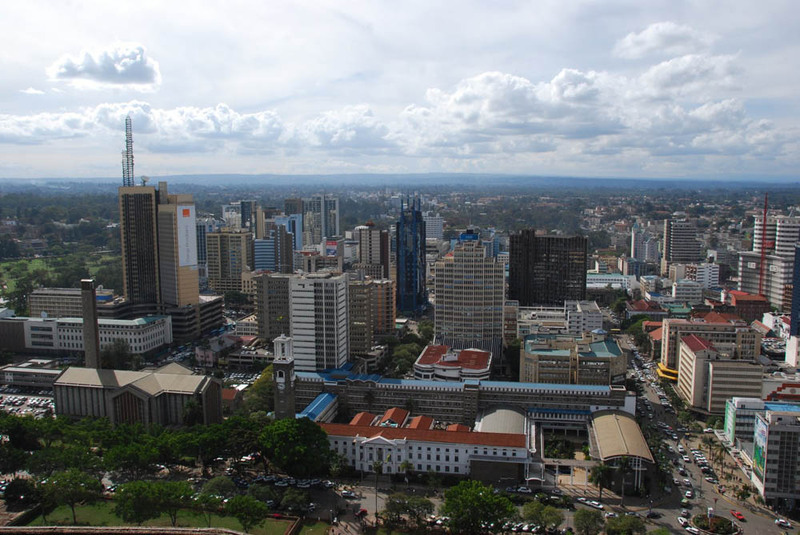 Aerial view of Nairobi, Kenya. Click image to enlarge slideshow. These phones were deactivated because they were counterfeit models. All four of Kenya’s telecommunications companies performed the shut-offs – which occurred in phases, beginning on October 1 – in compliance with the Communications Commission of Kenya (CCK) directive to deactivate service to counterfeit phones, according to a CCK press release. Of Kenya’s 29 million mobile phone subscribers, an estimated 1.5 million own counterfeits, which enter the country from China, Nigeria, and South Africa, according to to a BBC report. Many Kenyans rely on their phones for business and commerce. 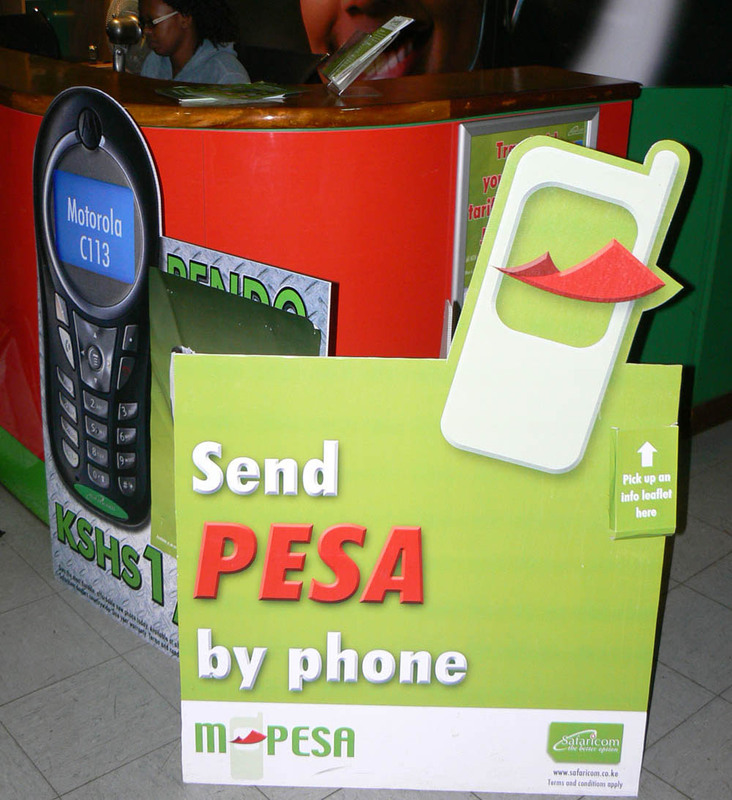 One service that facilitates mobile phone financial transactions is M-PESA, available through the provider Safaricom. M-PESA mobile phone bill payment. Click image to enlarge slideshow. “M-PESA provides ‘mobile money transfers’ between cell phone users rather than banking services,” without a fee, according to its Web site. M-PESA also connects individuals to about 300 “Pay Bill partners,” including schools, financial institutions, government agencies, hospitals, hospitality and insurance businesses, non-governmental organizations, and transport and utility providers. Going back to the “old-fashioned” method of bill payment: waiting in lines to pay at service centers. Purchasing an authentic phone and using the same SIM card that was in the counterfeit, without changes to their services. Unlocking the fake phones that have been shut off, but this is illegal: All Africa reports that the CCK has begun to investigate individuals who are attempting to reprogram their defunct mobiles. Because of the mass shut-offs, utilities providers are expecting delayed payments from many individuals, according to OOSKA News. “We expect the billing system to slow down due to the switch-off, but we are looking for alternative ways to bring the process to order,” said Philip Gichuru, managing director of the Nairobi Water and Sewerage Company. Interruptions to water service have not yet been reported. Source: All Africa, BBC, Communications Commission of Kenya, M-PESA, OOSKA News, Safaricom.